The historic province of Bulacan is located at the heart of Luzon, immediately north of the nation’s capital, Metro Manila. Being a mere 30-minute ride from the capital, Bulacan provides an easy escape complete with beautiful resorts, delectable cuisine, nostalgic places and exciting adventures. Bulacan is an old province that has transformed into a progressive place of commerce in the region. It is the perfect blend of rich cultural and historical heritage and modern amenities. Bulacan offers each visitor everything he needs in a stunning backdrop of historical sites and a small-town ambience. Its people, called Bulaqueños, are warm and educated. Just like most of Central Luzon, Bulacan experiences two distinct seasons. The dry season starts in November and extends to April or early May. The summer months (March to May) are the hottest periods but cools down as it approaches June. The rest of the year is relatively wet with scattered rains and occasional storms. Weather-wise, the dry season is ideal for a visit but the wet period is not so bad either. Bulacan is famous for festivals you may plan your visit around. During May, a lot of childless couples or singles seeking life partners head to Obando to participate in the miraculous Fertility Dance. The fiesta is held annually in honor of patrons Sta. Clara, San Pascual de Bailon and the Virgin of Salambao. Another festival worth witnessing is the Pagoda Festival of Bocaue. A pagoda is an extravagantly-decorated structure with the miraculous Cross of Wawa carried by a banca (boat) that travels the length of the Bocaue River. Other festivals in the province include the Pulilan Carabao Festival in May and the famous Singkaban Festivval which features the rich heritage of the Bulaqueños. This week-long celebration is held in September of every year. Bulacan is easily accessible from Metro Manila and other parts of Central Luzon. It is a short ride by personal vehicle or by public bus from Metro Manila. There are plenty of fixed rate and metered taxis stationed at the Ninoy Aquino International Airport. Also, there are car rental agencies at the airport and everywhere else in the metro. For budget travelers, buses are the best way to get into Bulacan. All northbound buses pass by the province and there are a good number of bus lines that leave at regular intervals from several stations in Quezon City, Pasay City and Manila. Once in Bulacan, jeepneys and buses are the cheapest ways of getting around. There are also tricycles that can take you around towns. Taxis and for-rent vans are also available but these can be rather expensive. 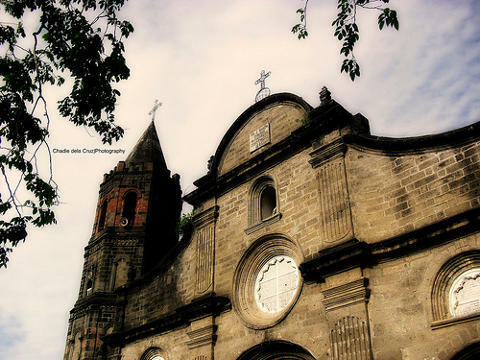 The Barasoain Church is recognized as the Cradle of Democracy in the East. It was the site of the First Philippine Republic’s Constitutional Convention in 1898. The old church is also known as the Our Lady of Mount Carmel Church. It is has stunning architectural designs; the medieval bell tower has rose windows and bamboo arches at its entrance. The church itself has intricate paintings on its wall and ceiling. The Barasoain Church is also considered as the most important religious building in the country. For those who would like to take a break from the historical attractions, the Madlum River provides an ideal escape. The river is located at the province’s northern boundary, close to Mount Manalmon. Swimming in the river is quite safe; it has a sandy, gradually sloping riverbed and calm, clear waters. There are also towering rock formations everywhere and small caves can be explored a few meters from the river. If you’re a daredevil, you can cross the monkey bridge to the other side of the river. The bridge is used by locals and it may no longer be existent as of this writing but if it still is, crossing it will definitely be a thrill. Another excellent eco adventure awaits visitors in the Pinagrealan Cave in Norzagaray. The cave also had its share of revolutionaries hiding out in its corners but it is more famous for its spectacular rock formations. There’s an ankle-deep stream running on the cave’s floor which goes up to your waist in some places. There are crystals embedded on some parts of the cave walls and at the end of one trail, there are a few sink holes where you can take a dip if you wish. Bulacan is known for its network of caves that served as sanctuaries of the Filipino revolutionaries during the Spanish time. 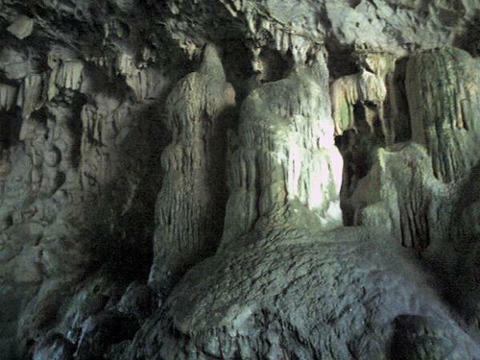 Among all cave networks, the Biak na Bato (literal translation: cracked rock) is the most well-known. Now a national park, Biak na Bato’s main feature is the mountain gorge sliced or cracked by the Balaong River. A great number of streams, waterfalls and caves are spread across the park, but the most visited of all is Aguinaldo’s cave, the former president’s headquarters back in the day. The national park is a popular ecotourism destination in the region. Traveling families with small children will certainly enjoy a full day of water fun in the 8 Waves Water Park in San Rafael. The resort boasts of a huge wave pool, a smaller kiddie pool with a Noah’s Ark-inspired slide, a lap pool, safari pools with slides, bubble pools, mini-golf, and other gaming facilities. Huts and pool umbrellas are available for those who would like to take a rest from all the water activities. Bulacan is a melting pot of historic attractions, wonderful food and eco adventures. Its proximity to Metro Manila makes it a worthy side trip or a weekend destination for residents and visitors of the capital city. Its charm beckons travelers of all interests and it is nice to know that just minutes from the hustle and bustle of Manila lies a place where time goes by at a more leisurely pace.